SUE Solutions successfully completed the utility asset evaluation and management for this continuation of SUE services performed for the UDOT SR-39 & SR-204 project. 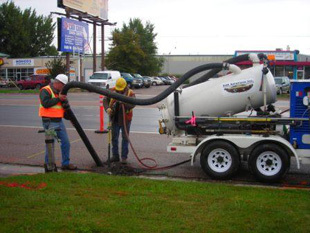 The Project Scope of Work included the development of utility information and mapping using Subsurface Utility Engineering (SUE) Quality Level 'A' potholing for various locations along the 12th Street corridor. SUE Solutions performed 40 testholes at various "project conflict locations" and coordinated SUE efforts with 18 different utility owners, both public and private. SUE Solutions coordinated the SUE efforts with local utility locating personnel (blue stakes) to meet project timeframe. 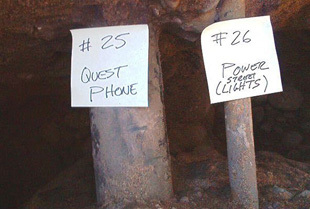 After the potholing services commenced, it was found that there were four "private" Utility Owners within the project limits that were not part of the Blue Stakes "One-Call" service. Through SUE Solution’s research and persistence, contacts for these Owners were established and coordination with their personnel commenced. Through SUE Solution’s efforts, approximately 3,000 feet of these "private" utilities were located and mapped to the accuracy levels dictated by UDOT standards. The location of these "private" utilities proved to be critical to the successful design of this roadway project. Final reporting included comprehensive utility mapping, photographic documentation, testhole data sheets containing vital utility information, survey data, and documentation referencing existing utility limitations.